This is a special double issue. Issue #58 should have come out in September and #59 round about now. However, without going into to much tedious detail, we are ridiculously overwhelmed at the moment, and this double issue has given us some much needed breathing space. Hard copies and kindle versions will be available in due course, probably in March or April, when the next issue of A&M is due. The eagle-eyed amongst you, I think, will notice the image of the last issue of Animals & Men, on the main CFZ website has not been replaced with issue #58/9. This is not down to our inefficiency: there is something wrong with the servers at our ISP, and, I am sure that this will be resolved in the near future. And so the world keeps turning. I was at school with a boy from Aleppo He was a couple of years younger than me, and we weren't friends, but we weren't not friends either, and the events of the past few days have made me think about him for the first time in forty years. I feel sorry for the ordinary people of Syria. From where I am sitting there is very little to choose between the Government forces and the ISIS insurgents; both sides are bloody savages and do not deserve political power until they can learn to behave like civilised human beings. And no doubt someone will accuse me of racism or thisism or thatism for having said so. It is peculiar. I have made several jokes about President Elect Trump over the past few weeks, and NONE of the people who took offense at them were Americans. Two Englishmen and an Irishman, none of whom have ever been to America, took umbrage, whilst many of my American friends wrote back with ruder jokes. Weird huh? 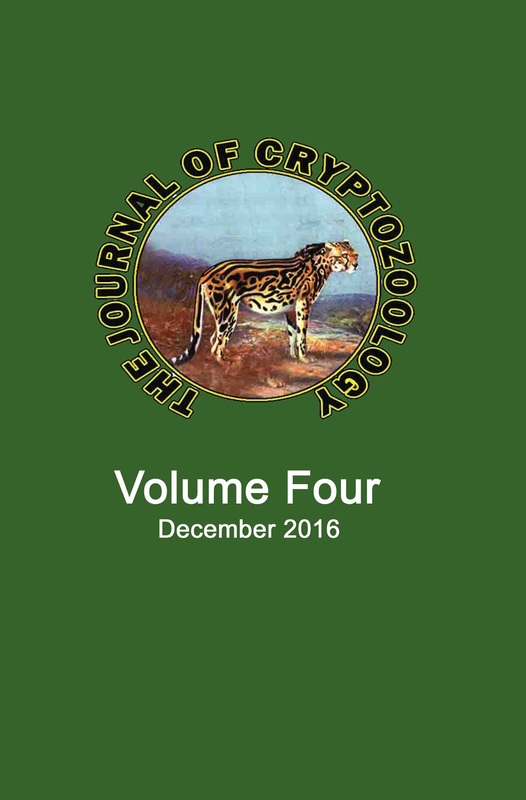 Ladies and gentleman, we are very pleased to announce that volume four of The Journal of Cryptozoology has now been uploaded to the printer and is now available. 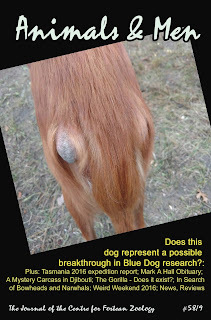 Following the demise of Cryptozoology (published by the now-defunct International Society of Cryptozoology), there has been no peer-reviewed scientific journal devoted to cryptozoology for quite some time. Consequently, the Journal of Cryptozoology has been launched to remedy this situation and fill a notable gap in the literature of cryptids and their investigation. For although some mainstream zoological journals are beginning to show slightly less reluctance than before to publish papers with a cryptozoological theme, it is still by no means an easy task for such papers to gain acceptance, and, as a result, potentially significant, serious contributions to the subject are not receiving the scientific attention that they deserve. Now, however, they have a journal of their own once again. It will, of course, be available on Amazon, but you can also buy it direct from us with a special discounted postage rate. This offer is open to anyone across the world, so don't worry when the PayPal button comes up in British pounds. It will automatically be translated to your currency. We would like to thank Dr Karl Shuker and all the contributors to this volume for their hard work. 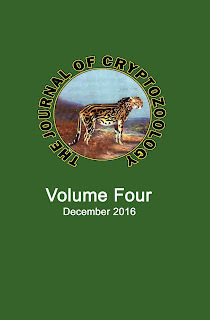 We believe that the Journal of Cryptozoology is a very important project, and thank you in advance for your support. ON THIS DAY IN - 1503 - Physician, astrologer and clairvoyant Nostradamus was born at St. Remy, Provence, France.